The music rooms are located between the existing building envelope and a new load-bearing installation inserted inside. 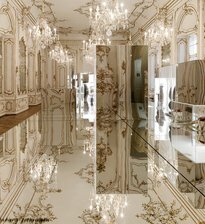 They are designed as chambers with optimal acoustics. The integration of stairway zones in the interior walls lends the corridors a certain rhythm. 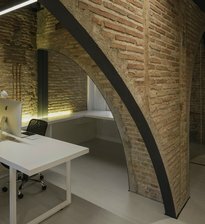 Conceived as a differentiated interpretation of the historical outer walls, they are built of slightly varying cement stones with flush, light-coloured joints. 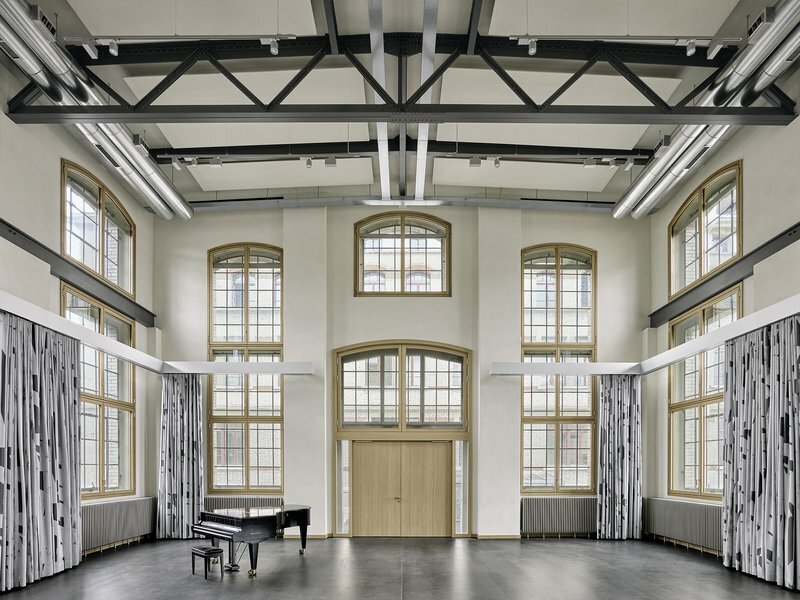 The historical small-paned industrial windows in the concert hall and the music rooms preserve the building’s industrial character on the outside, while on the interior new natural wood window frames create a congenial atmosphere. The windows are configured to afford views through to the structure of the existing walls.